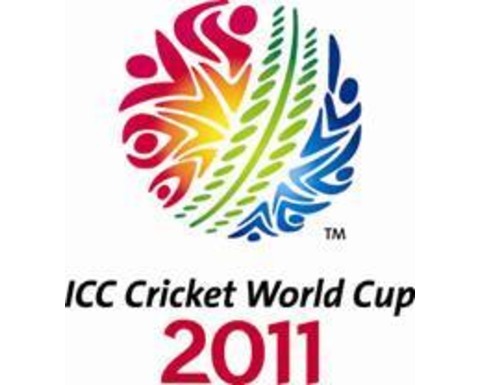 There was a time when India Vs. West Indies was a keenly awaited series especially in India. When West Indies team was a champion team and India was just about rising. There was Lara Vs. Tendulkar and West Indian pace attack Vs. Indian spinners. Sadly this time around there is hardly any hype about the tour. India play 5 ODIs, 3 Tests and 1 T20 in the tour with no other tour matches. 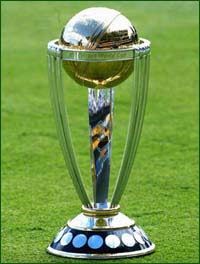 The schedule is tight nd the interest is quite low with many of the Indian tops stars giving this tour a miss. Suresh Raina captains the young Indian ODI and T20 side and most of the youngsters in the team are pushing for their place in the regular side and for them this series is a great opportunity to do that. New coach Duncan Fletcher will have his task cut-out. Test side would be more regular with stalwarts Dravid and Laxman along with Dhoni and Zaheer returning to the side. Tendulkar will be missed and this will be the 2nd West Indies tour he would be missing after the first one in 2006. Regular opening pair of Sehwag and Gambhir will also be missed and Murali Vijay and perhaps Abhinav Mukund can make a strong claim as a backup opener for future tours. Indian pace attack will have a chance to bowl on different pitches than sub-continent to prepare for bigger series ahead. There is plenty to look forward to for the die-hard cricket lovers. As far as my prediction goes India should win the lone T20 and should win the ODI series at least 4-1, anything less should be considered as a failure. As far as tests goes anything less than 3-0 should not be acceptable to the Indian fans. India’s premier domestic cricket tournament Ranji Trophy has 27 teams divided into Plate and Elite League. Each year top 2 teams from the plate league are promoted to the Elite league and bottom 2 of the elite are relegated to the plate. This is the Ranji Trophy format since last few years. Rajasthan has been a perrenial under achiever of the Indian Domestic Cricket over the years, especially in the Ranji Trophy. They have been playing in the plate league for couple of years and when they reached the elite phase few years back, they were whipped by most teams and relegated once again to the Plate league. This year they were one of the teams in Group A of the plate league. Nothing much was expected from them. 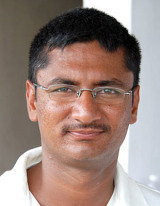 They had a not so prominent coach in Harish Joshi and an average team squad. They had Pankaj Singh as their premier fast bowler who was on the fringes of Indian selection but still not quite there. They decided to ‘import’ batting talent in the form of former Indian opener and Delhi batsman Aakash Chopra, former Indian middle order batsman and Maharashtra player Hrishikesh Kanitkar. Kanitkar was made the captain. The draw was quite favorable to them and they had to play all their 5 league matches at Home again opponents like Madhya Pradesh, Jharkhand, Goa, Tripura and Hyderabad. They started with a bang. On a green top at Jaipur they dismissed the Hyderabad team for a paltry total of 21 only, which is one of the lowest score in Indian first class cricket in long time. In doing this they discovered a new talent Deepak Chahar, all of 18 and right arm swing bowler who literally bamboozled the Hyderabad side for his figures of 8/10 for a match haul of 12 wickets. Captain Kanitkar struck a fine 193 to seal the win and Rajasthan won the match quite comfortably by an Innings and 256 runs. The next match was against Goa. This match ended in a draw but Rajasthan won points for having a lead in the first innings. Opener Vineet Saxena this time hit a century. Goa fought back well but first innings lead was good enough for Rajasthan. The next match against Madhya Pradesh turned out to be a tough one with Rajasthan scoring 523 runs. Madhya Pradesh also managed to score 415 / 5 however the match could not be finished and since the 1st innings of both teams had not finished neither teams did get any points. The next match against Tripura played on a green Kota track was almost one sided with lowly Tripura being bowled out for less than 100 in each innings and Pankaj Singh taking 14 wickets in the match. The final league match against Jharkhand at Udaipur was also a big scoring match and batsmen Aakash Chopra and Rashmi Parida scored big hundreds to take the first innings lead and win the points for the team. Thus Rajashtan qualified for the Plate league semi finals as the Group A leader. They were drawn to play against solid Maharashtra team at Nasik. Plate league semifinal are very important as the 2 winners not only get to play in Quarter finals of the Elite league the very same year but also get promoted to the Elite league for the next year. Considering this it was really crucial for the Rajasthan team to win against the strong Maharashtra team. Maharashtra won the toss and elected to field on a slightly wet track however they misread the track completely and Rajasthan batsmen made them pay for it. 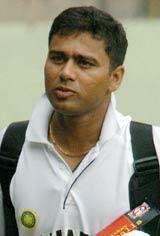 Opener Aakash Chopra scored a grinding triple century 301* for the score of 641 in the first innings. Next task was to bowl out Maharashtra for less than that which the Rajasthan bowelrs successfully did. Leg break bowler Vivek Yadav alsong with Pankaj Singh and Deepak Chahar bowled out Maharashtra team for 349 and the match was won as the 4 day match ended in a draw and due to the first innings rule Rajasthan advanced to the Ranji Elite league quarterfinals and also got promoted. This was a big event and most plate sides are happy to go this far and reach the elite league. Most of the plate sides are not much a match for the Elite level teams and usually end their run in the Elite league quarter finals. Rajasthan had not so envious task of taking on the mightiest side in the Ranji trophy and previous year champions ‘khaddoos’ Mumbai in their quarter finals. Mumbai team was known for his talent and their never-say-die attitude plus it boasted current and past India stars. Led by veteran Wasim Jaffer this was the team favorite to win not only the match but the Ranji Trophy. Mumbai won the toss and batted on a not so easy track. This was bad news as Mumbai is known to post high scores and then run through their opponents. 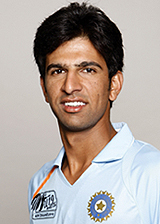 However Pankaj Singh bended his back and bowl a fiery spell to claim 6 wickets. Mumbai batamen were far too reckless and played some horrible shots to bowl out for 252 which looked okeyish on that track, however Rajashtan batsmen had other plans. They decided to grind in, bat defensively, score slowly but steadily. Their Goa import, Opener Vineet Saxena and Captain Kanitkar both scored centuries along with young prodigy Ashok Menaria who also scored a ton. Rajasthan scored 589 ant they batted Mumbai out of the game. Mumbai fought back but there wasnt enough time to force a win. Unebeleivable had been done. 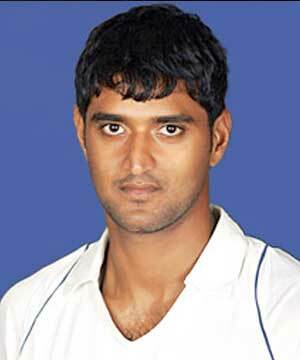 Ranji champions Mumbai had been knocked out by Rajasthan from plate division. Mighty had fallen. Next step for Rajasthan was the semi finals against Tamil Nadu, another favorite team with some star players in the side. Tamil Nadu won the toss and inserted Rajasthan in. 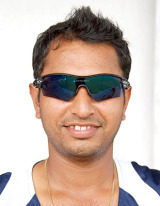 Again Rajashtan batsmen decided to play slowly and steadily and build a huge score. Aakash Chopra and Kanitkar both scored a hundred and Rajasthan posted 552. The total was good enough however Tamil Nadu had some good batsmen who could bat for long hours and going by the track the first innings lead was what mattered as a result was not possible in 4 days. Leggie Vivek Yadav again bowled fine spells and Rajasthan managed to bowl out Tamil Nadu for 385 with lone Badrinath fighting with 175*. Thus Rajasthan reached the Ranji finals again thank to the first innings lead rule. This was a feat unmatched and no Plate division side had ever reached the Ranji Elite league finals. 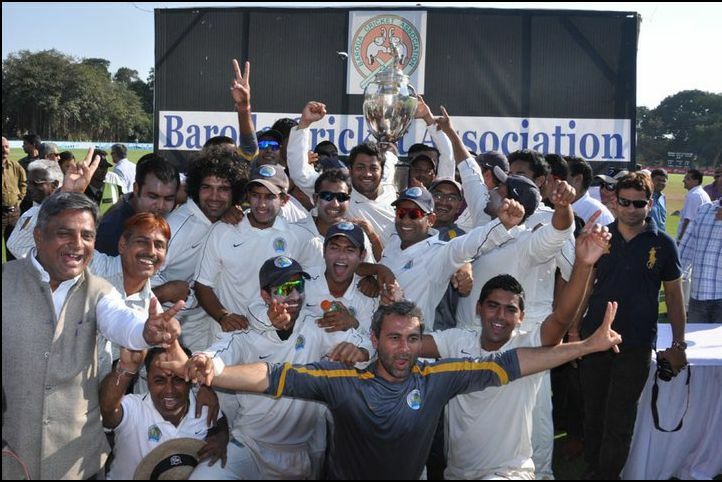 Rajasthan had been in Ranji finals 8 times but has never won the Ranji Trophy and this was a golden chance for them. The Ranji trophy finals were to be held against Baroda side in Baroda, another formidable team who had defeated many teams on the strength of their explosive batting and incisive bowling. However due to the international schedule the key players like Yusuf Pathan and Munaf Patel were not available for the finals. The finals begun in Motibagh Stadium in Baroda on 11th Jan, 2011, perhaps and auspicious day.However Rajasthan yet against lost the toss and were put into bat. They continued their slow and grinding batting style on a difficult track to bat on where the ball remained far too low at times. Run scoring wasnt easy but all the top order batsman contributed and Rajasthan reached 394 a total very good on that track. However Baroda Captain Pinal Shah understood what was needed on this track and their batsmen batted equally well. However Rajasthan bowlers were better on the day and Baroda managed 361, just 33 behind Rajasthan. The Ranji final is a 5 day affair and hence chance of an outright result could not be ruled out. By the rule of ‘First innings Lead’ Rajasthan were ahead by 33 runs and only way Baroda could now win was by forcing an outright win. 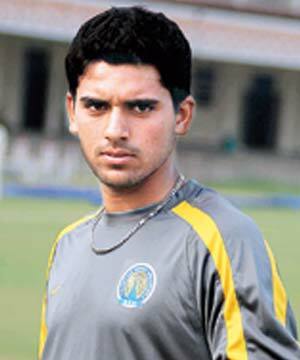 In the 2nd innings Baroda bowler started very well and Rajasthan lost 4 quick wickets for not many runs. However veteran Rashmi Parida and new boy Ashok Menaria found a groove and settled down and by end of day 4 took Rajasthan’s lead to 234 runs with 6 wickets in hand. On the final day Baroda needed not only only 6 quick wickets but to score those runs and the task looked impossible barring some miracle. And no miracles happened as India’s Under-19 Captain Ashok Menaria scored another hundred and Baroda were set a stiff target of 375 to win but giving them just about a session to do so thus effectively winning the match. Rajasthan won the match on by now their favorite ‘ first innings lead’ rule. They lifted the Ranji Trophy for the first time ever. The souls of veteran Rajasthan players like Raj Singh Dungarpur and Hanumant Singh would be at peace now. Coming from the Plate league, not losing any of their match and qualifying for the elite leagues was a big achievement in itself for Rajasthan. But defeating teams like Mumbai,Tamil Nadu and Baroda and to win the Ranji trophy was unthinkable even for the veteran team players like Aakash Chopra and Hrishikesh Kanitkar. They had their plans and strategies right in place. Their players responded every time they were needed to. The batsmen stuck out and scored big hundreds and bowlers bended their backs and emerged as leading wicket taking bowlers in the Ranji trophy this year. They played as per their strength and played by the rules. The ‘first innings lead’rule has been used by many a teams in past to win points and emerge as winners. Rajasthan were surely not the first one to do so and wil not be last one either. This was a perfect ‘zero to hero’ story and surely an inspirational lesson worth learning for every cricketer and sportsmen that to never give up on their dream and always believe that nothing was impossible in cricket and for that matter in any sports. Veteran players like Aakash Chopra and Kanitkar who had played for India earlier, Ranji veterans like Rashmi Parida and Pankaj Singh and young players like Vineet Saxena, Vivek Yadav, Ashok Menaria and Deepak Chahar gelled together to make up the team the did the impossible. It was a complete team effort with Rajasthan bowlers emerging as leading wicket takers in the Ranji trophy and their batsmen scored the most runs. If Rajasthan were an underdog baseball or american football team in USA and achieved something like this, Hollywood would have surely come up with a winning script and screenplay from the above story and created a memorable sport film, however this is India and chances of any such things are remote. However if ever there was a movie to be made from this Rajasthan Ranji trophy success story then an apt title would be ‘Playing by the Rule’. Finally the format of 10 team IPL 4 has been decided and its well quite different from what was being speculated earlier. Each team gets to play 14 matches. 7 home and 7 away. Each team plays 5 other teams on home-away basis, plays 2 teams only at home and 2 teams away. Thus totaling 70 matches. The top 4 teams would go through the semi finals. Thus 74 matches would be played over a period of 7 weeks or so. Final schedule will be out soon, meanwhile here is the draw for each team. Here are the squads of all 10 teams post the Mega Auction. 127 Players were bid for in the auction and adding the 12 retained earlier, 139 players are now part of various teams. 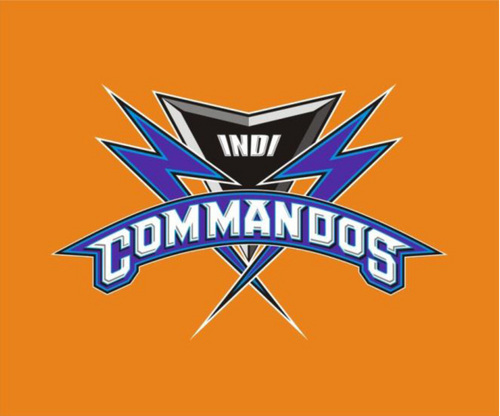 The teams still need to sign Indian domestic players to fill up the team vacuums and make up the playing XI. Listed below are all the players, their teams and the price they were bought for.